Customer feedback is one of the cornerstones of the Good Garage Scheme, helping us ensure that motorists receive the highest standards of service from member garages. Our Top Feedback Award is our way of congratulating members who are actively encouraging customers to send in feedback and ensure the system works. Congratulations to all of the Good Garage Scheme member garages that have topped their region for the amount of feedbacks posted in 2011. A fantastic effort has been achieved by all and they will all receive an award to proudly display in their reception areas for all of their customers to see. 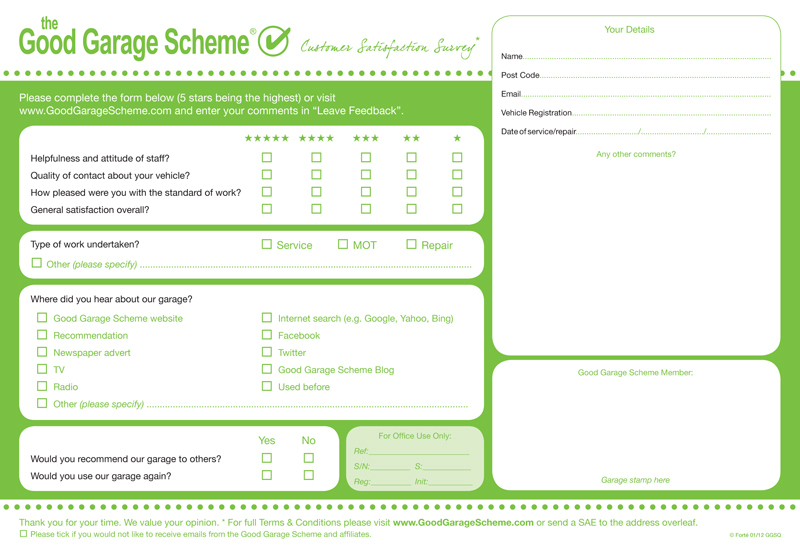 To read the feedback listed by customers who have rated Good Garage Scheme member garages, please visit www.GoodGarageScheme.com.